Our medical malpractice lawyers handle cases involving the failure to timely diagnose and treat a patient presenting to a doctor or hospital with chest pain. When a patient presents to a doctor or hospital with chest pain, the physician must be properly diagnose the condition causing that symptom. Because chest pain is a common complaint in hospital emergency departments, it is essential that the physician determine whether the patient is presenting with a medical emergency or has a less severe condition. 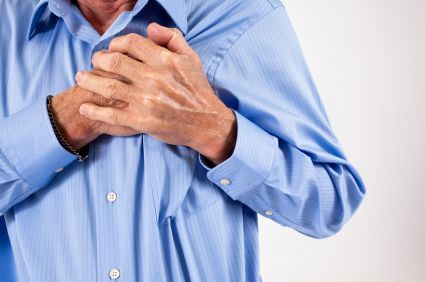 Chest pain is a frequent issue in many medical malpractice lawsuits because there are a number of emergency conditions that need to be considered for the patient. The obvious condition is a heart attack or other cardiac condition, but other conditions include pulmonary embolism, lung related causes, gallbladder or pancreas problems, and other serious conditions. Physicians are trained to evaluate a patient with chest pain, formulate a proper diagnosis as to the cause of that condition, and then timely treat the condition. When a patient with chest pain is mismanaged by a doctor or at the hospital emergency department, it can give rise to a medical malpractice lawsuit. Patients who survive a misdiagnosis of chest pain can pursue a case against the negligent medical providers. In cases involving death, the surviving family members can file a wrongful death lawsuit. If you or a family member suffered injury or harm due to the failure to treat chest pain, you should contact our experienced medical malpractice lawyers today to discuss your case. We will obtain and review all of the medical records to determine whether there was improper medical care provided to the patient. If there was the failure to provide proper care, we will file a medical malpractice lawsuit on your behalf. Call today to speak with one of our highly qualified medical malpractice attorneys. We will represent you under our No Fee Promise, which means there are no legal fees or costs unless you receive a settlement. There are strict time deadlines for filing medical malpractice lawsuits so it is important that you call us right now at (800) 606-1717!